also gave the gift of pension to the workers in the budget. For the people working in the unorganized sector, a pension of Rs 3000 will be given per month. The government has launched a pension scheme named Prime Minister Shram Yogi Manadhan. The process of implementing the pension scheme for non-organized sector has been intensified. 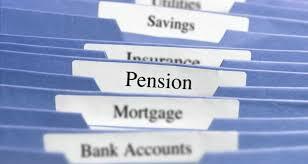 the new pension scheme of the government is being implemented from February 15. The government has issued its notification. Finance Minister Piyush Goyal had announced that under the Mega Pension Scheme, Prime Minister, Shram Yogi Mannandan will receive a minimum pension of Rs 3,000 for the people with monthly income up to Rs 15000. They have to contribute Rs. 55 per month. The government will contribute the same amount. Expected to get the benefit of 100 million employees in the unorganized sector. rickshaw and garbage pickers also benefit from this scheme. After 60 years of completion, 3000 rupees will be available every month. This pension scheme will start in this financial year. 500 crore rupees were allocated initially for the pension scheme. The benefit of the pension scheme will be 10 million people. The pension scheme will be started from this year.